ivitec's advanced advertisement fingerprinting software solution Admon not only represents an end-to-end solution for automated advert tracking on video and radio channels. It's API based architecture offers a high level of flexibility and integrability, allowing for easy and deep integration into existing customer ecosystems, both on workflow and operations level. Customers can adapt the system to their needs and make the cooperation between their data foundation and Admon as transparent as possible. Add your existing reference videos to Admon's reference fingerprint library, either via API or user interface. The system supports a huge variety of formats, and can be extended to accomodate other formats too. Customers can easily attach their existing capture system to Admon or use the native ivitec capture solution. Both solutions allow capture unit distribution around the world, with highly efficent network usage between the nodes and the central Admon backend. 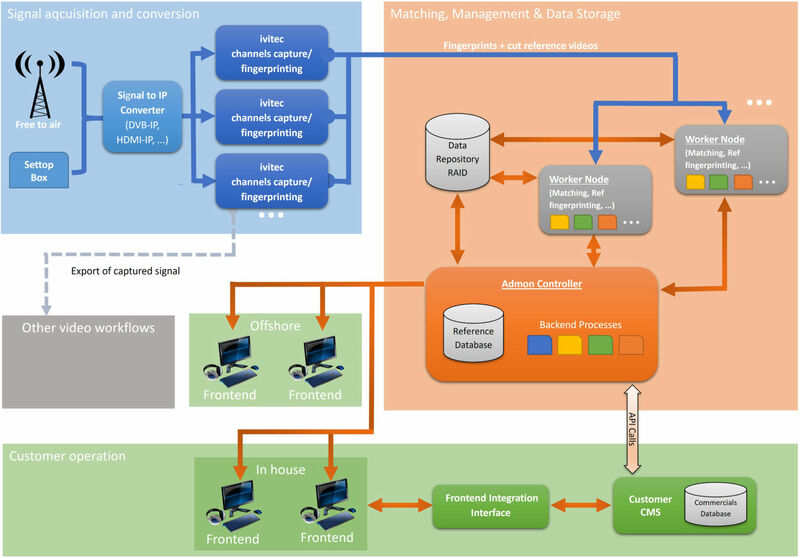 High level workflow connection between Admon and 3rd party CMS via "Integration Interface"
Take full control over the Admon Frontend by programming against its integration interface. down to calling your existing CMS dialogs, for a seamless workflow integration. Export detection data at any given point in time via the frontend or automated with the programming API. 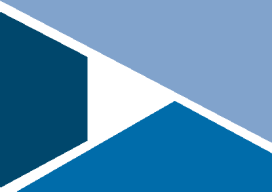 Unique detection identifiers allow for incremental processing of the exported detection data. Many workflow and operation related options of the frontend can be configured without any programming effort, including among others handling of differences, treatment of references from different countries, several priorities of the same channel and creation of HQ reference videos. The Admon processing backend can handle multiple clients, frontends as well as direct API calls, operating at the same time. Customers can parallelize their operation to take full advantage of Admon's distributed service architecture. 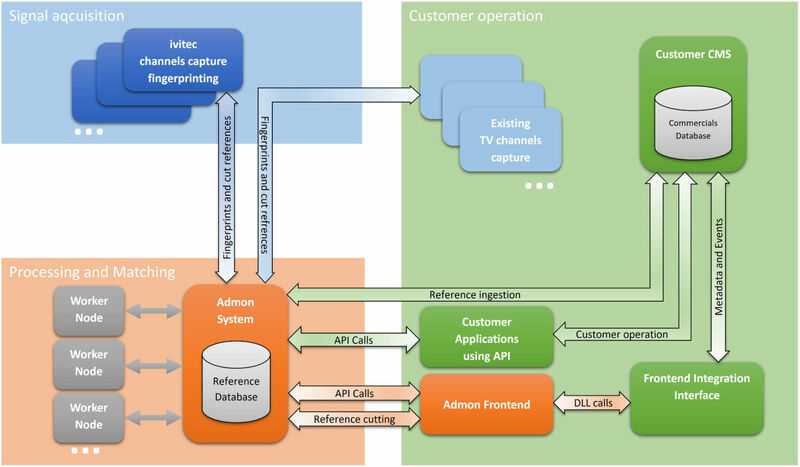 The frontend is completely driven by the Admon WCF web service API. Customers are not bound to use the Admon Frontend but can fully create their own frontend that connects to the web service. or changes in the Admon Reference Library. Also a basic integration interface sample is provided. with hands on experience, source samples and best practice solutions.